Properties : CaCO3 It is a calcium carbonat powder which is produced in the newest technology from the high pruty and white kalsit. Properties : Talc is an important industrial mineral. Its resistance to heat, electricity and acids make it an ideal surface for lab counter tops and electrical switchboards. It is also an important filler material for paints, rubber and insecticides. Properties : Barite is a common mineral and makes very attractive specimens. It often is an accessory mineral to other minerals and can make a nice backdrop to brightly colored crystals. Properties : Barite is a common mineral and makes very attractive specimens. It often is an accessory mineral to other minerals and can make a nice backdrop to brightly colored crystals. tozu. Producer Firm : Başer Maden San.ve Tic.A.Ş. Properties : It produced high quality white powder. It is used solvent based paints and other paints. Excellent and permanent gloss. 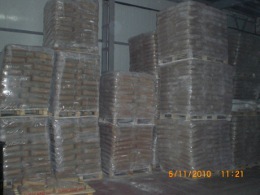 Properties : It produced high quality white powder. It has fine dispersion. Synthetic Iron Oxide Yellow : Synthetic Iron Oxide, being especially suitable for use in paints and coatings, are also used in varios industries as colorants. Synthetic Iron Oxide Red :Synthetic Iron Oxide, being especially suitable for use in paints and coatings, are also used in varios industries as colorants. Producer Firm : Eva Boya ve Kim.San. ve Tic.A.Ş. Bayferrox's Pigments : Organic pigment used for paints and coatings. Titaniumdioxide (Rutil Type) : Titanium dioxide- Rutil Type is a micronize Rutil type white pigment which used in coating, indoor and outdoor decoration paints. Titaniumdioxide (Anatase): Titanium dioxide- Anatas Type is a micronize anatase type white pigment which used in internal coating, indoor decoration paints. Producer Firm : İshakoğlu Boya Kim.San.A.Ş. Aqua-based DISPERCOAT Pigments: Preparations executes a range of precisely chosen hi-performance pigments to handle critical outdoor coating fastness requirements. To create immensly compelling exterior colors that will live for years. Producer Firm : Goteks Kimya A.Ş.